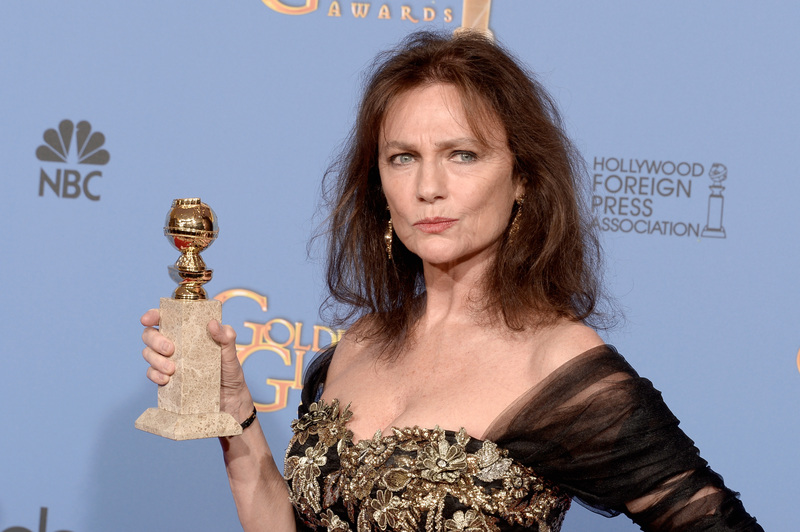 It's the 2014 Golden Globe Awards and everyone is celebrating — some a little too much. While hosts Amy Poehler and Tina Fey have kept us well-entertained thus far into the ceremony, we've been lucky enough to get a series of surprise bonus prizes from several attendees who look like they took one too many trips to the Golden Globes' open bar. Of course, there's no way to tell whether these stars were under the influence of pure happiness or, well, something else, but from Jacqueline Bisset's curse-ridden acceptance speech to Emma Thompson's shoe-throwing, here are some of the people at this year's Golden Globes that make us want to break out a breathalyzer and double-check. Well, it took Bisset about five minutes to walk to the stage and then another five minutes to speak a word. Once she did manage to create words (and some bleeped out curses), we couldn't really understand them. Needless to say, she probably shouldn't drive tonight. After I asked myself what P. Diddy was even doing at the Golden Globes (presenting the Best Original Score Award), he proceeded to pull a Kanye West and interrupt winner Alex Ebert's acceptance speech, recounting the time he unbuttoned Ebert's jacket while the two partied on a boat in St. Barts. Then, the cameraman spent the rest of Ebert's speech desperately trying to zoom in enough to get Diddy out of the frame. It didn't work. Go home Diddy, you're drunk. Probably. Emma Thompson took the stage to present an award without shoes and holding a cocktail, so she pretty much set herself up for a drunk joke. She then made it all true when she decided it was kosher to THROW her pair of Christian Louboutin heels. Doesn't she know that's sacrilege? She wins for best interpretation of a drunk person if she was, in fact, sober. All was well and good as Diane Keaton accepted the Cecil B. DeMille Award on behalf of winner, Woody Allen... until she decided to start cursing. And then sing a Girls Scout song. It was painful and awkward and it needed to stop. While we don't think Keaton is tipsy, that last bit almost fooled us.